Part One identifies common principles that underlie sound performance and rewards management. Chapter One sets the stage for defining these principles by describing how a human resource management strategy is derived from the organizational context and strategy. Chapter Two presents common principles for effectively managing performance. 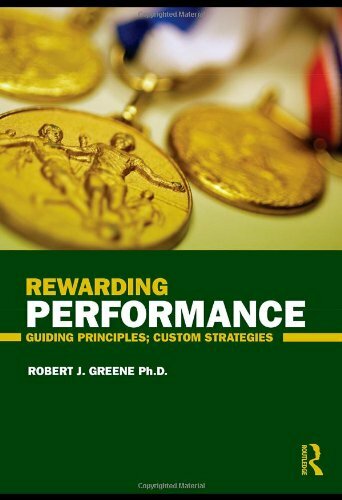 Chapter Three develops principles that should be incorporated into rewards management strategies. Part Two explores the development and execution of "local" performance and rewards management strategies, which can be utilized for different segments of the workforce. The segments of the workforce addressed here are: Executives (Chapter Four), Sales Personnel (Chapter Five), Professionals (Chapter Six), Operating & Administrative Support Personnel (Chapter Seven), Teams (Chapter Eight) and global workforces (Chapter Nine). Part Three addresses how programs to support the local strategies can be developed and how they can be integrated to produce alignment. Guidelines for effective implementation, administration and evaluation are presented. Chapter Ten examines some of the contextual and environmental factors that impact performance and rewards management for public sector and not-for-profit organization workforces. Chapter Eleven focuses on integrating local strategies and executing strategies through program development, implementation and administration. Chapter Twelve provides a model for strategy and program evaluation.